Small had thrown jug with elegant extruded handle. 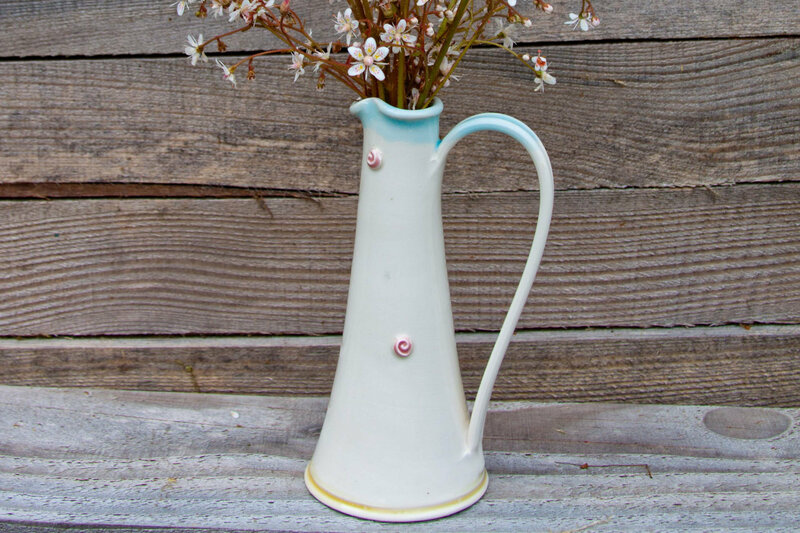 Glazed with accents of blue, cream and finished with small pink spiral rose buds. Makes a beautiful vase or water/milk jug. Small hand thrown jug with elegant extruded handle. Glazed and finished with matt white dots. 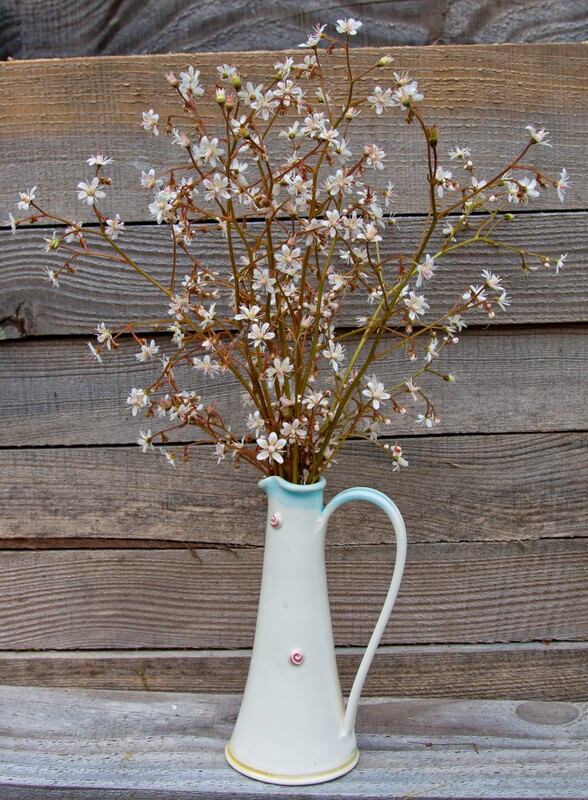 A simple design and colour palatte makes this piece feel at peace in any house, home or kitchen. Hand thrown jug with elegantly extruded handle. Glazed with accents of cream and finished with raised dots filled with runny blue crackle glaze. 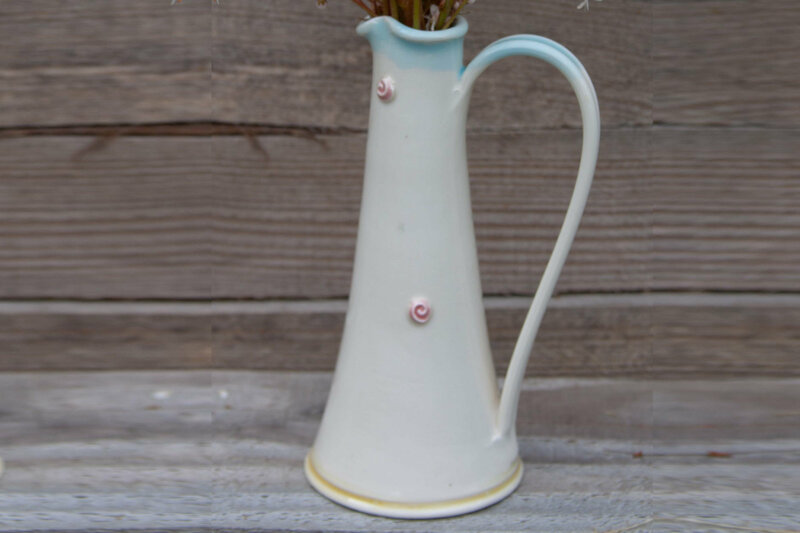 This piece makes a beautiful vase for a small arrangement of flowers, an ideal milk /cream jug for an afternoon cup of tea or coffee or even better, a water jug for a wee dram in the evening.